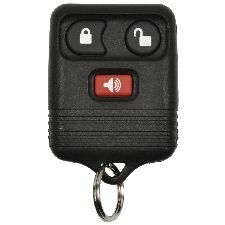 Showing 1 - 1 of 1 Products for Keyless Entry and Alarm System Remote Control Transmitter. Complete key fob assembly replaces units damaged from water intrusion, terminal corrosion, circuit board failure, or case damage. Easily programmableâ€”simply use the relearn instructions from the OE service manual or ownerâ€™s manual. FCC- and IC-approved. All TechSmartÂ® parts meet or exceed OE performance, providing today's technician with the quality parts needed to get the job done right, the first time.